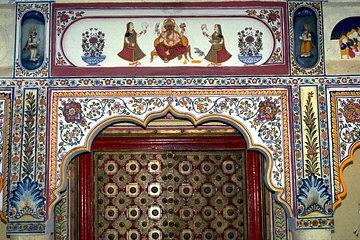 Make your way to the town of Mandawa, in the heart of Rajasthan's Shekhawati region and learn why this destination is known as the 'open art gallery of India'. See the towering mansions filled with colorful frescos, and explore the narrow lanes and back streets where cenotaphs of the former royal family still exist. Savor a traditional Indian lunch inside the Castle Mandawa an experience the regal wonder of this incredible city.